Intel has evolved its event portfolio and decided to retire the IDF program moving forward. Thank you for nearly 20 great years with the Intel Developer Forum! Intel has a number of resources available on intel.com, including a Resource and Design Center with documentation, software, and tools for designers, engineers, and developers. 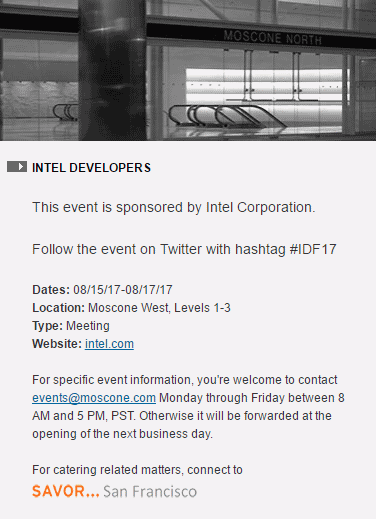 As always, our customers, partners, and developers should reach out to their Intel representative with questions.